CBNT - A Decentralized Professional Content Sharing platform! 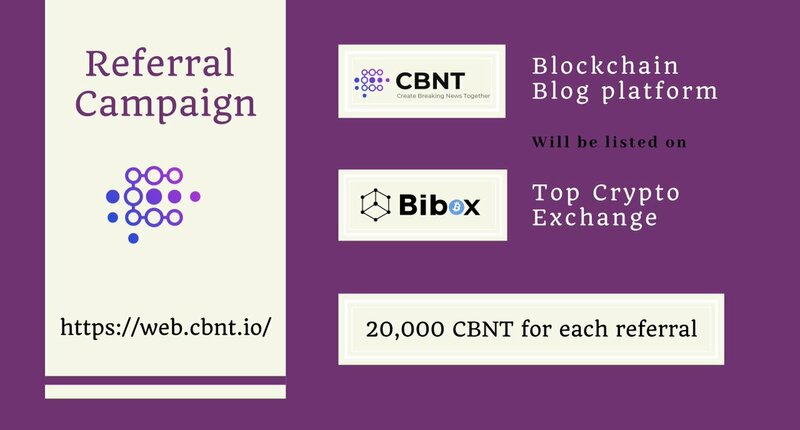 CBNT – A Decentralized Professional Content Sharing platform! CBNT is a decentralized professional content sharing community based on blockchain technology and an ecosystem model of DPGC (Decentralization Professional Generated Content). In the beginning, we will focus on blockchain and professional financial investment content. CBNT will create a win-win ecosystem for all participants, including content/articles providers, content readers (viewer), ad publishers, and token holders. 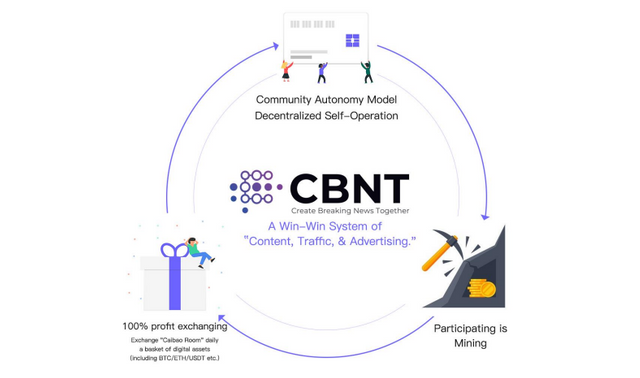 The CBNT team aims to change the conventional business model of content platforms and let every participant benefit from CBNT. Adopting the “participating is mining” model, CBNT will issue tokens, which represents rights on the platform. CBNT will focus on blockchain information and financial and investment fields which are highly related to the token economy system too. Content generators, viewers, and communicatorscan mine CBNT tokens by posting content, sharing, commenting, and liking etc. on the CBNT platform. 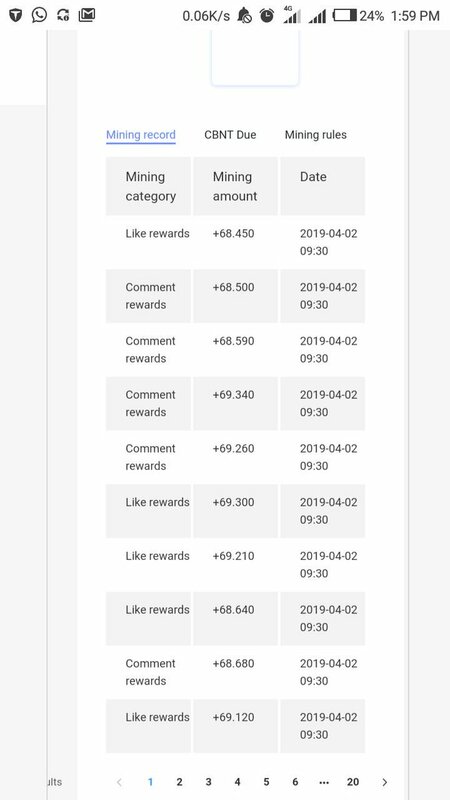 Moreover, In the CBNT community, whether you are content generators or content viewers, both sides can receive tokens “Mining Rewards”. As CBNT grows and traffic boosts, all the profit of numerous ads will also be distributed to all of the participants. work for the benefit of the platforms’ profit model.